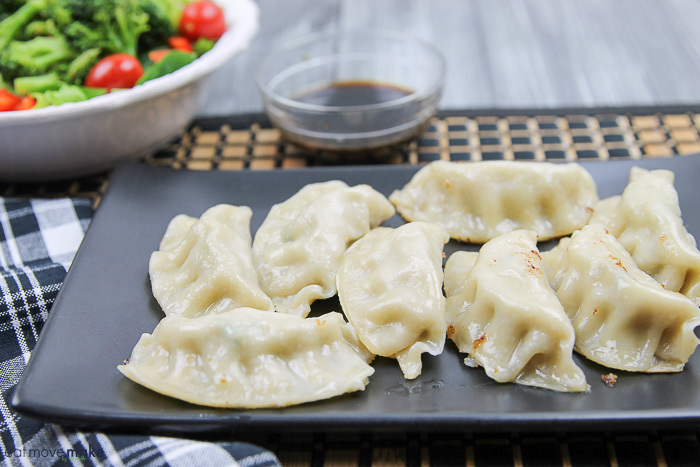 Ling Ling potstickers with spicy broccoli. This post was sponsored by Ling Ling. All opinions expressed in my post are my own. Ever since my kids were little, we’ve explored cultures, traditions and food dishes from all over the world, and Asian cuisine has become a staple favorite. 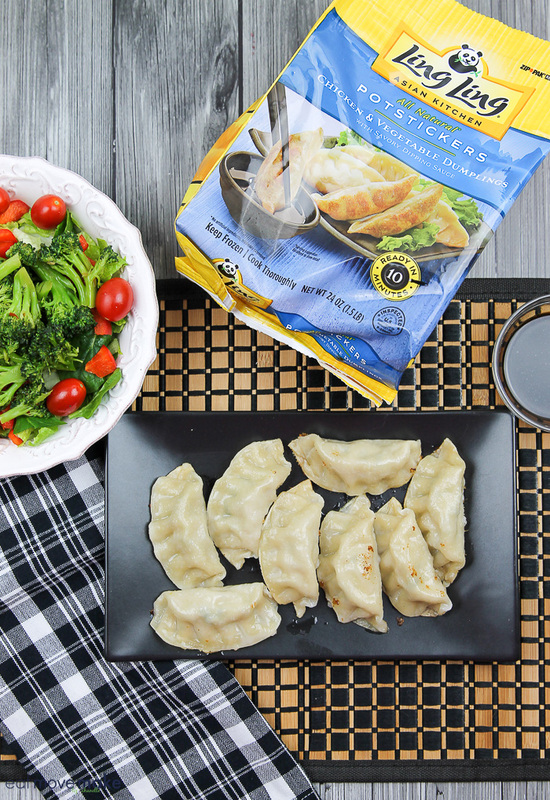 With Chinese New Year just around the corner, I thought it would be the perfect time to celebrate with a special Asian meal of spicy broccoli and Ling Ling potstickers! We looooove Ling Ling at my house – it’s perfect for families! Ling Ling’s authentic Asian recipes are bursting with flavor and they’re made with superb, clean ingredients — freshly sourced veggies and savory proteins. Plus, they’re so convenient and easy to prepare! 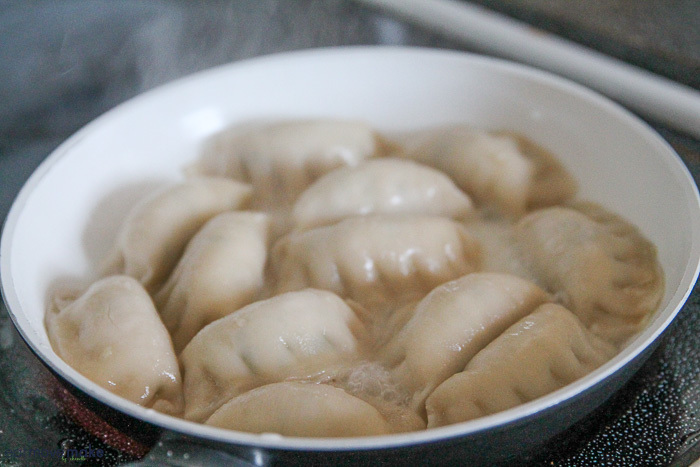 I made chicken and vegetable Ling Ling potstickers (also available in pork and vegetable and vegetarian varieties) on the stovetop in just eight minutes. They’re absolutely scrumptious and so fun to eat! 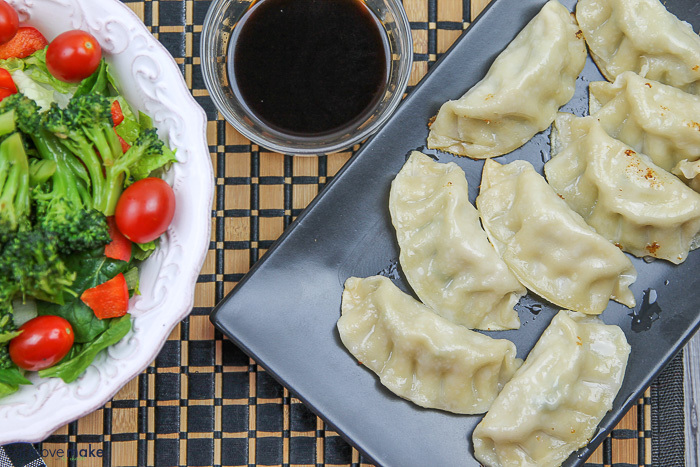 And the potstickers come with Ling Ling’s delicious signature dipping sauce, so you don’t have to think about a thing… just enjoy! 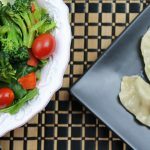 If you’d like to add some veggies or a salad to your Ling Ling potstickers meal, I’ve got the perfect spicy broccoli recipe for you and it’s as easy to make as the potstickers are. 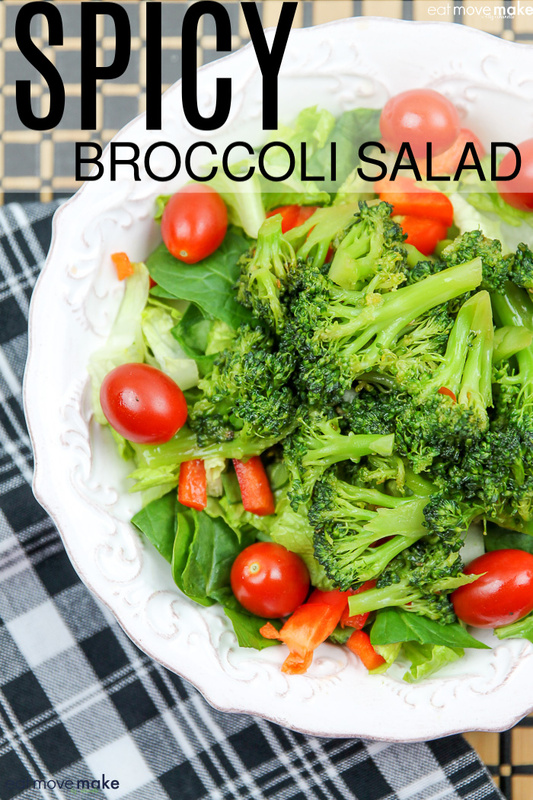 Saute some broccoli and steam for a few minutes until it reaches the desired tenderness, then salt and toss with a sweet red chili sauce. 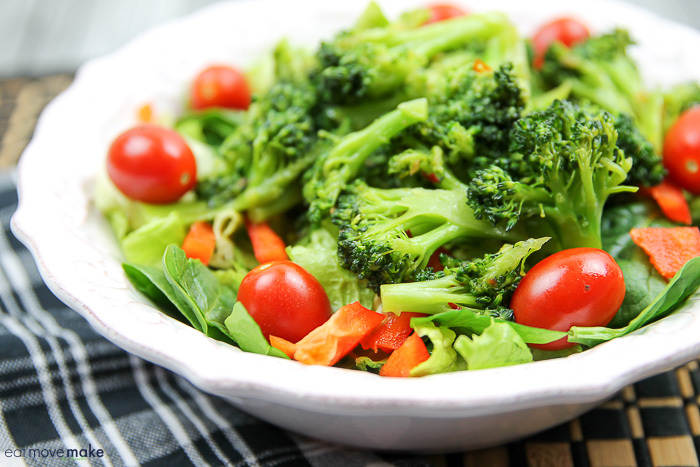 Serve hot as is, or serve on top of some greens with tomatoes and sweet peppers. It’s a delicious light addition to your meal. 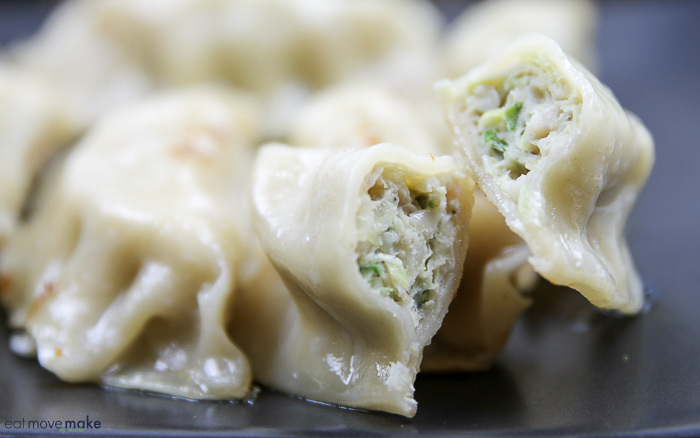 So, celebrate Chinese New Year (beginning February 5) by serving up Ling Ling potstickers and spicy broccoli! 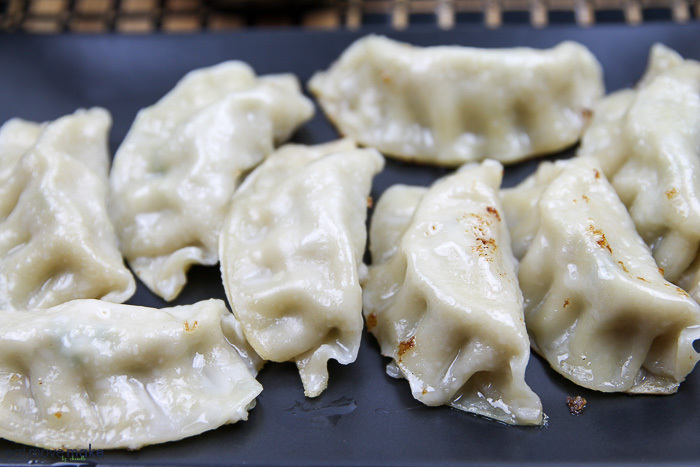 And be sure to try some of my other recipes with Ling Ling Asian foods! 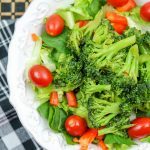 Pin the spicy broccoli recipe! Chinese New Year begins on the first full moon after January 21 and lasts for 15 days. This year, it begins on February 5, 2019. The new year begins a new Zodiac animal’s year. 2019 is the ‘Year of the Pig’. Also known as the Spring Festival, the holiday celebrates Spring’s new beginnings and fresh starts and it’s the most widely celebrated holiday in the world. Children receive red packets filled with lucky money symbolizing a transfer of good fortune. New Year’s Eve is the biggest event of the Chinese New Year as families come from far and wide to reunite for “Nian Ye Fan” – the reunion dinner. Eight dishes are served during the dinner. “Gung Hay Fat Choy” means “Happy New Year” in Chinese. It’s considered good luck to thoroughly clean the house before the festival commences and homes are filled with red paper strips, cutouts and decorations. The Chinese New Year celebration ends with the Lantern Festival. 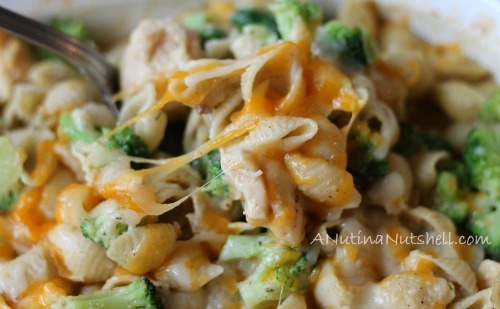 When it comes to food, nothing says “home” to me more than a casserole does, and it must be true for my kids as well because that’s what they ask for when they’re visiting. They’re full of feel good magic, it seems. What I really love is that they’re so easy to put together, and they’re very forgiving when you make changes and substitutions. In fact, I just tried using Country Crock in place of butter in one of my favorite hot dishes, and it came out just as tasty as ever! 1. Cook pasta according to directions, rinse in cold water and drain. 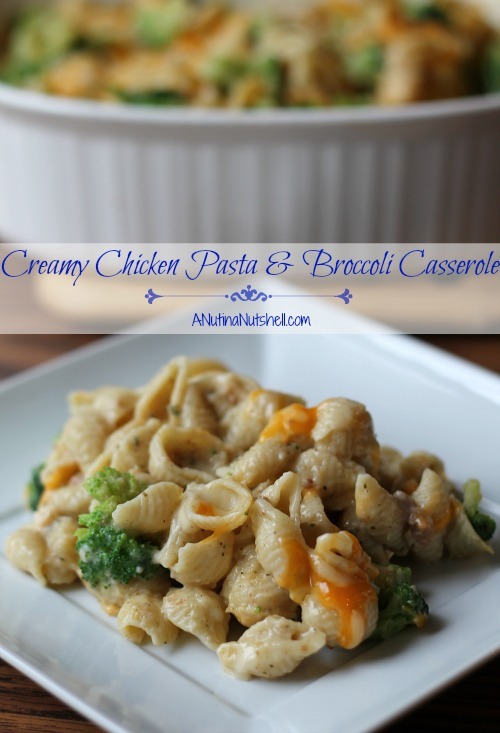 Add to casserole dish along with chicken and broccoli florets. Mix well. 2. On stovetop, gently heat cream of chicken soup and 1 cup milk to a soft boil. 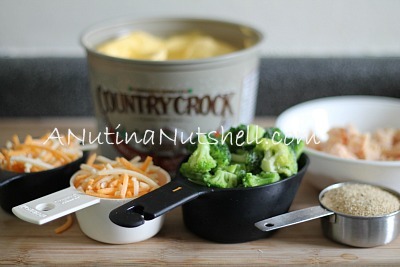 Add Country Crock, stirring as it melts. Remove from heat. Stir in poultry seasoning, bread crumbs, bacon and 1/2 cup of the cheese. 3. 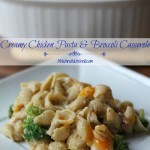 Pour soup mixture over pasta, chicken and broccoli and then stir to combine all ingredients. 4. Bake, covered, in 350 degree oven 30 minutes. Sprinkle on remaining 1/2 cup cheese and bake uncovered for about 5 minutes or until cheese is melted. 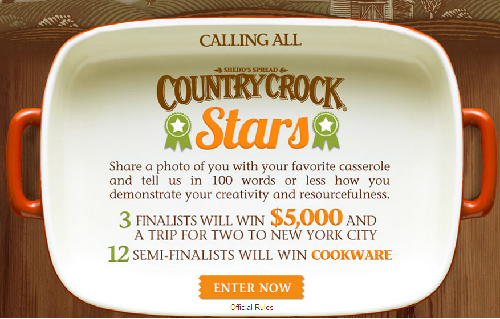 If you’re a casserole lover too, be sure to enter the #CountryCrockStars contest! Three finalists will win $5,000 and a trip to New York City and 12 semi-finalists will win cookware! Share a photo of your favorite casserole, and in 100 words tell how you demonstrate creativity and resourcefulness in the kitchen.